In this sermon, Dr. Charles E. Baker demonstrates that Robert Edward Lee was the very antithesis of the numerous idols that are adored by Americans today. No finer example of a Southern gentleman and leader exists whose positive impact was so great during and after the War Between the States. His superb character as a Christian gentleman stood out in his life as a man, husband, father, citizen, soldier, and a leader. 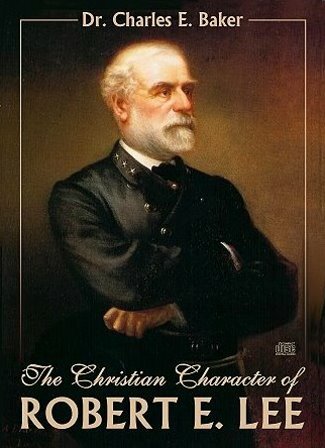 Ever the humble servant of his Lord, Lee exhibited a gracious demeanor even to his enemies in battle, and was foremost in calling for the surrender of sectional hatred and a national healing when the great conflict had come to an end. Also included is a reading of John Esten Cooke's account of Lee's funeral at Lexington, Virginia on 15 October 1870.